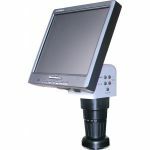 HEIScope HEI-VM-LCD and HEI-VM-LCD-10 High Resolution LCD Zoom Inspection System includes a Video Zoom microscope with a 8" viewable monitor (Native resolution: 800 × 600) or 10.4" viewable monitor (Native resolution: 1024 × 768) Dot pitch: 0.297mm, Contrast: 300:1, Viewing Angle: about 150°, Response Time: ≤25ms, Brightness: 250cd/m2, Video Output: BNC (PAL / NTSC). Total magnification ( 8" = 3.1x - 147x). ( 10" = 3.2x - 198x). Both series of HEIScope LCD's have a zoom body of 0.7-4.5x with detents with a zoom ratio of 1:6.5. 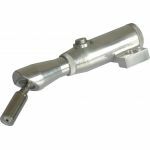 Optional objective lens are available. 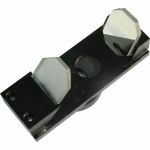 Built in LED ring light with adjustable brightness and laser pointer for accurate inspection of small parts. 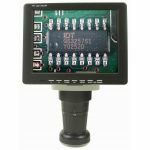 Purchase a HEIScope LCD Zoom Inspection System sold by Howard Electronics Today!